It was one of the rarest and fanciest baths of its time. Cleaning of mosaic fragments in the area of the bathing facility. Image credits: Peter Jülich. The Roman Empire spread far and wide, from Western Europe to Northern Africa and the Middle East. Syria was an early Roman province, annexed in 64 BC. Several Roman settlements still remain in the area, although not all are in modern Syria. The city of Doliche, for instance, is part of historical Syria but is in modern-day Turkey. Archaeologists have been working in Doliche for quite a while, and have recently unveiled signs of a prosperous and flourishing city. “Our excavations in the ancient town of Doliche clearly show how a town flourished across epochs and religions in what was then northern Syria – from the Hellenistic period through Christian late antiquity to the early Islamic epoch”, says classical scholar and excavation director Engelbert Winter from the Cluster of Excellence, who was speaking at the end of the excavation season. Remains of underfloor heating in the area of the bath. The supports made of tiles held up the floor, with warm air circulating in the space between. Image credits: Peter Jülich. The pinnacle of Doliche, archaeologists say, was a rather unusual (and very fancy bath). Unfortunately, despite its impressive design, the bath was only used for about a century or two. “The bath, decorated with splendid mosaics, was built in the 2nd or 3rd century AD, when public baths in Syria, unlike in the Latin West, were exceedingly rare. However, the bath was no longer in operation from as early as the 4th century AD”. 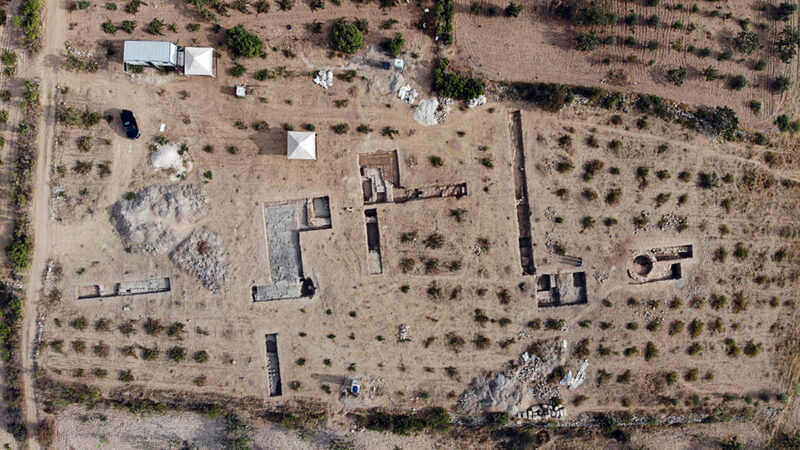 Aerial view of the excavation area in the east of the town with a Roman bathing facility. Image credits: Forschungsstelle Asia Minor. People left the town as a result of wars and economic crises, as well as changing cultural trends — as Christianity’s impact increased in the area, the architectural landscape started to change, and more emphasis was placed on what was then an innovative faith. The sanctuaries of the old gods were abandoned in favor of the new, all-powerful one, and not everyone embraced this change. “A new heyday began under Christian auspices: the basilica was built, and the town, which had originally gained attention and become rich on account of the sanctuary of the Roman god Jupiter Dolichenus, became a bishopric”. Archaeological digs have also uncovered a church, which is quite a rare finding in the area. Not much is known about the impact of Christianity in northern Syria at the time, and how it changed people’s lives. Further finds from the area around the church indicate that it was probably destroyed by an earthquake in the 7th century. Ultimately, the town itself was abandoned in the 12th century. 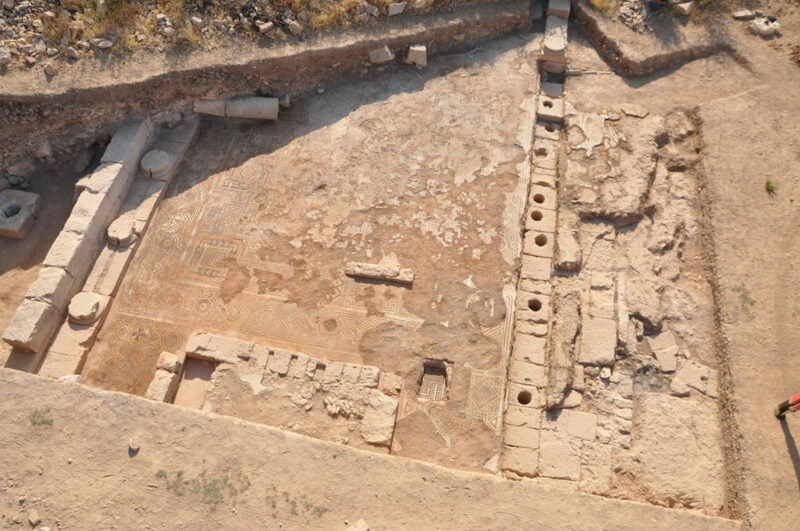 View of the excavated parts of the early Christian basilica, including a beautiful floor mosaic. Image credits: Forschungsstelle Asia Minor. 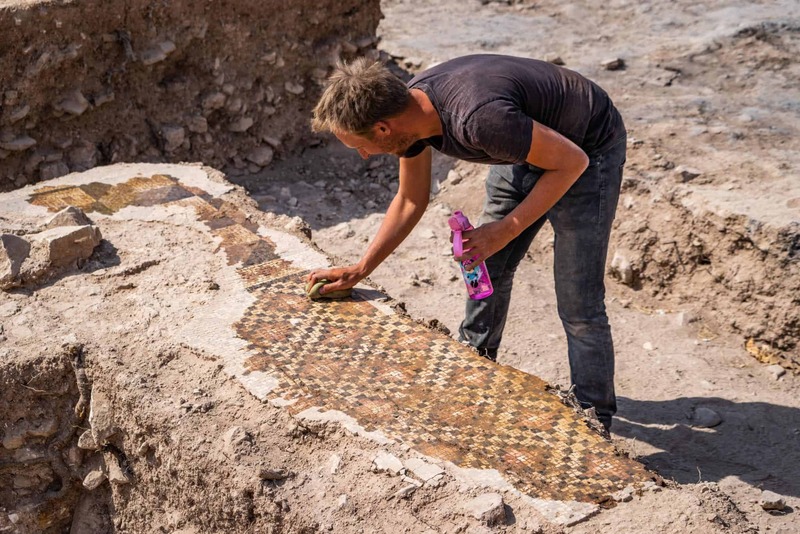 As it so often happens, uncovering these archaeological structures is only the first step. 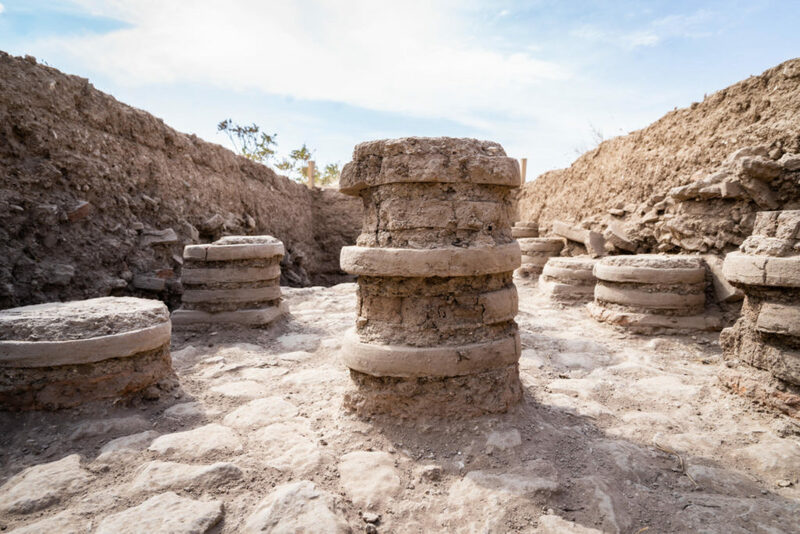 Modern archaeology is less about finding cool buildings, and more about understanding how they affected people’s lives, and how these people lived. Today, Turkish Dülük, the village that follows the ancient Doliche, is still a Latin Catholic titular see, which is quite unusual — so the ancient changes still have a lasting impact to this day.